Doesn’t matter whether you love it or hate it. Valentine’s day should just be another excuse to have some fun. 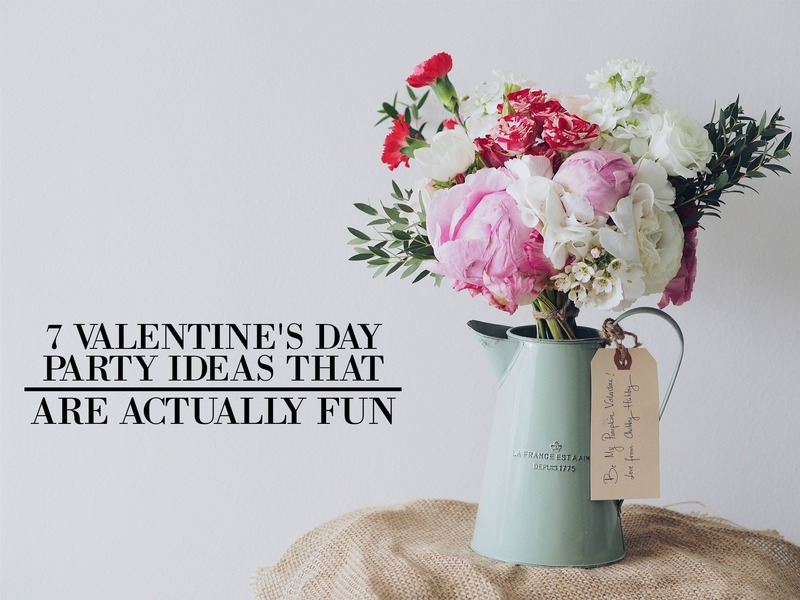 And whether you want it Valentine themed or not, here are a just few ideas you can use to make either a dreaded or celebrated day a bit more fun. Cooking and sharing food is the perfect way to show your friends how much you love them. Host an evening where each person brings one dish each. Everyone will have their own thing to think about, taking the stress off the host having to prepare it all! If you feel like being creative but are on a bit of a budget, then hold your own arts and crafts evening! There are plenty of cute Valentine’s DIY crafts on Pinterest. Nothing is more fun than getting crafty and splitting some freshly baked cookies as a group. Host your own cheese tasting party and create your own charcuterie board! Your friends can also bring in their own favorite cheeses. It’s a great ways to have a culinary experience while hanging out. Whether you host this yourself at home with face masks or you go all out and book a spa day, nothing makes you feel better about yourself than being pampered. It’s a great way to relax and reenergize while having fun with your friends at the same time. There’s nothing more comforting than snuggling up on the sofa with your friends, blankets, cheese, chocolates and a great movie! Just like secret Santa but this time, it’s Cupid doing the giving! Use an online generator to dish out the names and then set a limit so that everyone can buy a suitable gift. Do something different and hold a bonfire night in February! Nothing’s more fun than snuggling outside around a fire with blankets, hot chocolate, and marshmallows! There are plenty of ways you can make this Valentine’s Day one to remember. So which one’s your favorite?